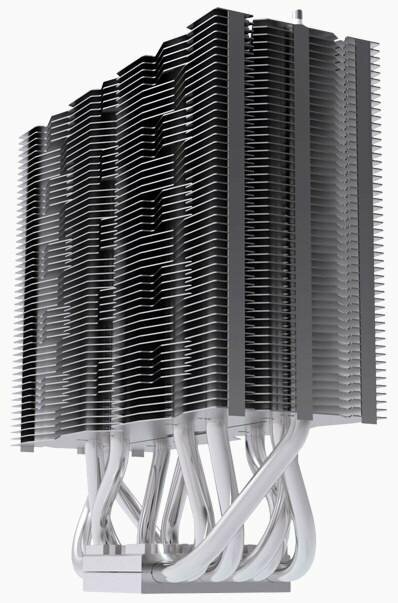 TC Mag received details about EKL's forthcoming Alpenföhn Himalaya CPU cooler. It will be released within a week or two for around 59.90EUR. EKL is now putting the finishing touches on a new, Alpenföhn-branded cooling solution, one CPU cooler called Himalaya which supports Intel LGA 775/1155/1156/1366 and AMD Socket AM2(+)/AM3(+)/FM1 processors, and promises both 'ultimate performance' and 'ultra low noise'. 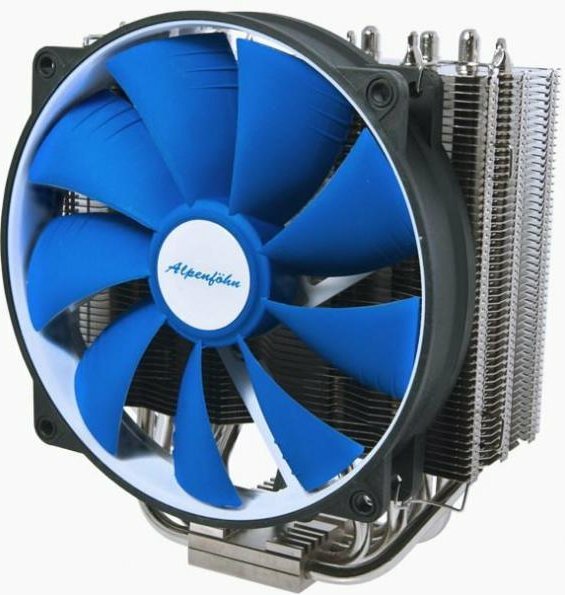 Alpenföhn's cooler weights 880 grams and features a 140 x 164 x 55 mm asymmetrical heatsink boasting a copper base and six U-shaped heatpipes, and a 140mm Wing Boost fan working at 300 to 1100 RPM (10 ~ 19.4 dBA sound output).